Swingin Chicago style modern big band music. 1. It Don\'t Mean A Thing If It Aint Got That Swing! 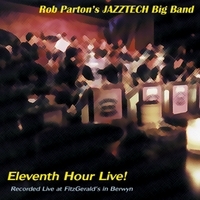 Eleventh Hour Live was recorded in 1999 right after a weekend at the Elkhart Jazz Festival.